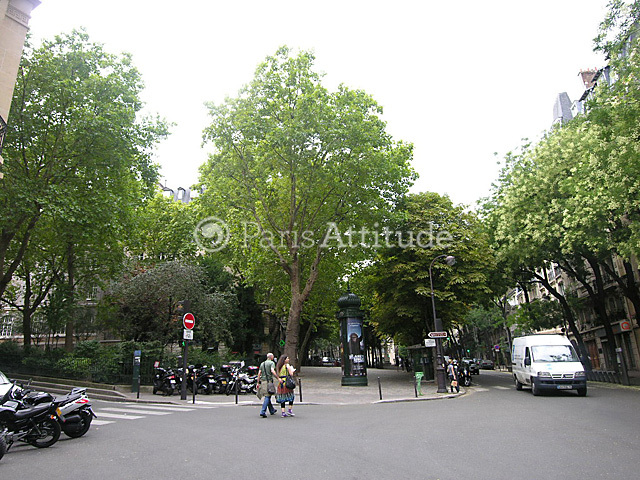 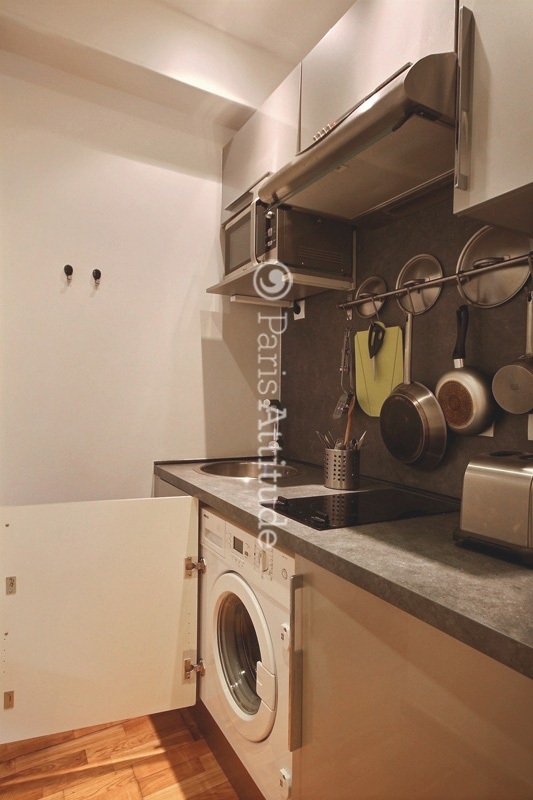 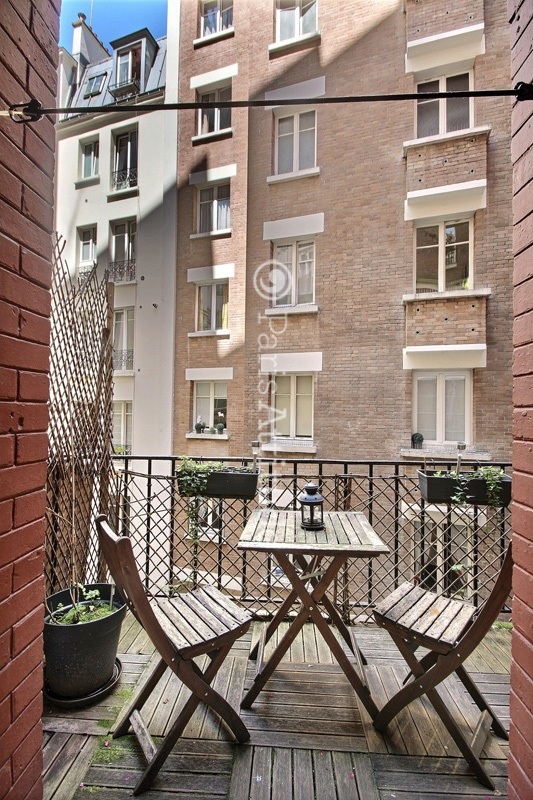 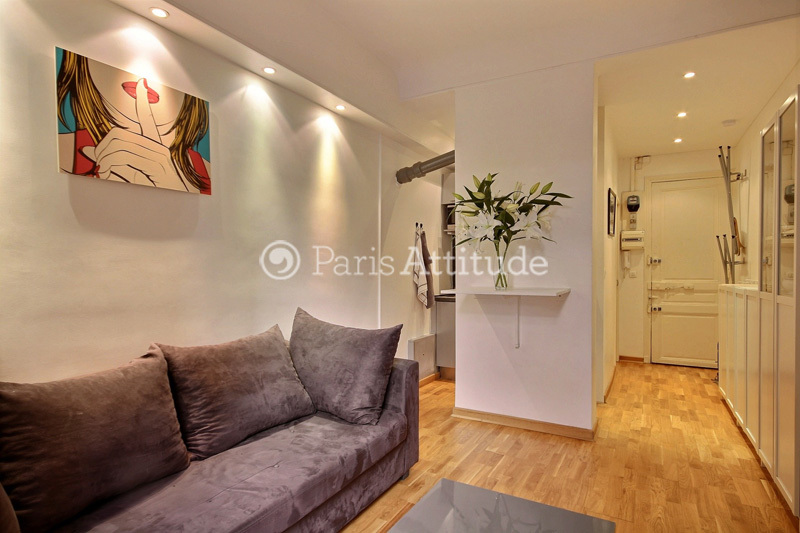 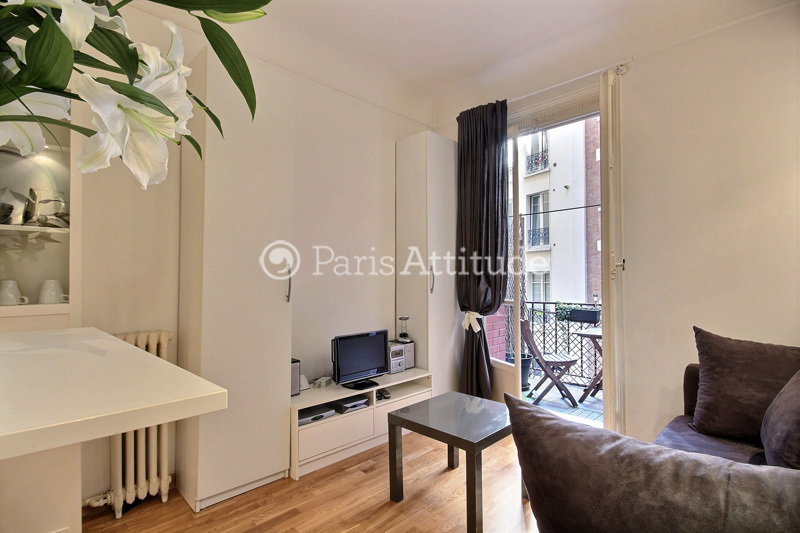 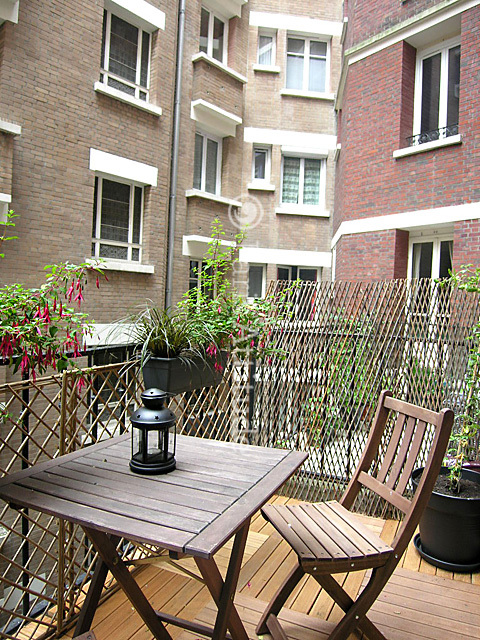 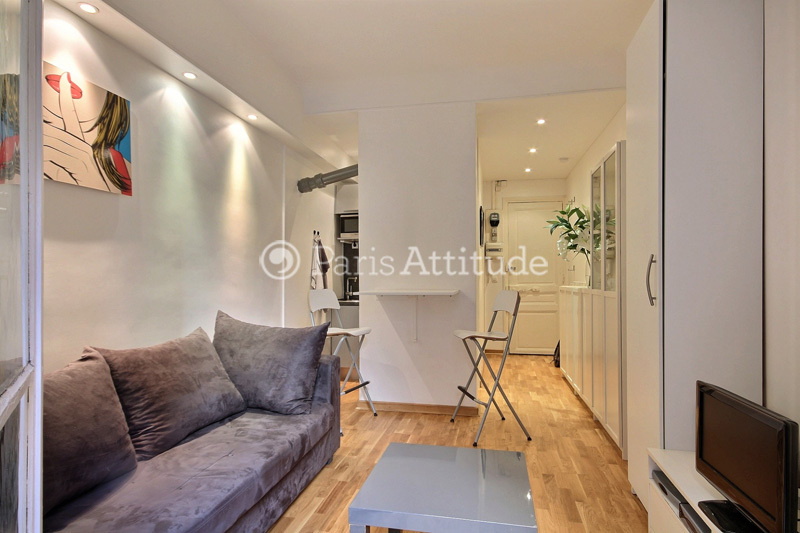 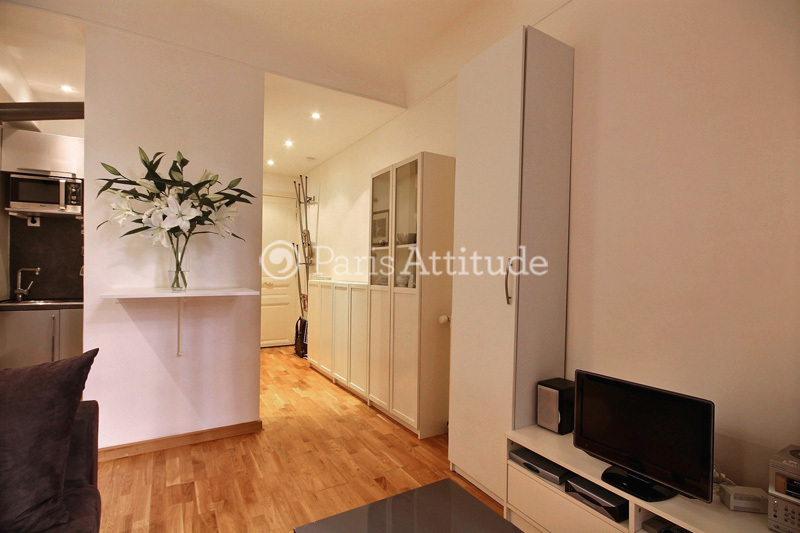 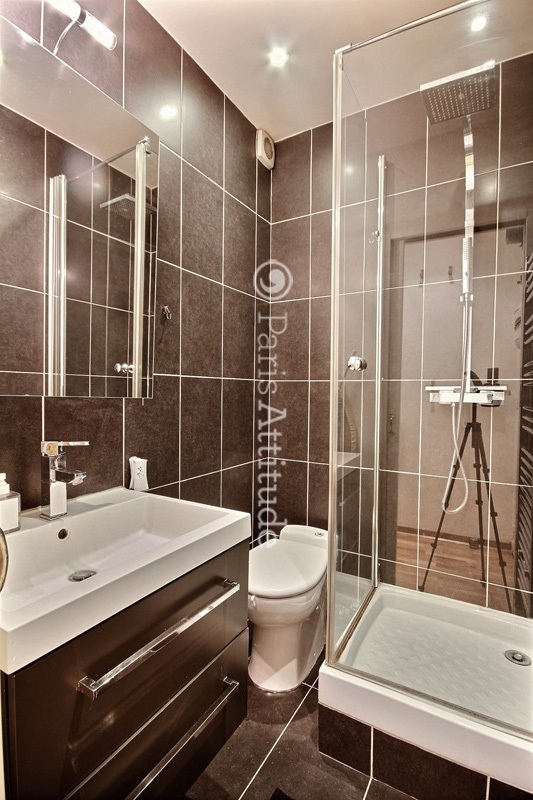 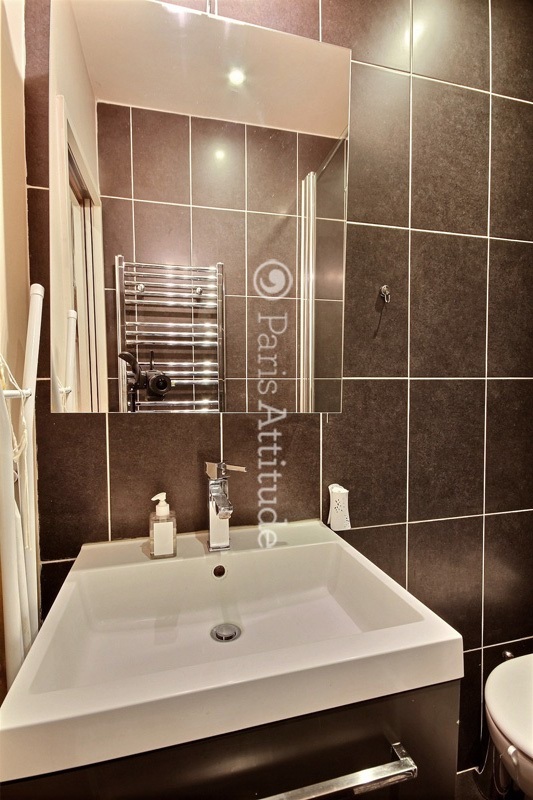 This charming 20 square meters , Studio, apartment is located on rue Caulaincourt in the 18th arrondissement, on the 2 nd French floor of a 19th century walk up building and it sleeps 2 people. 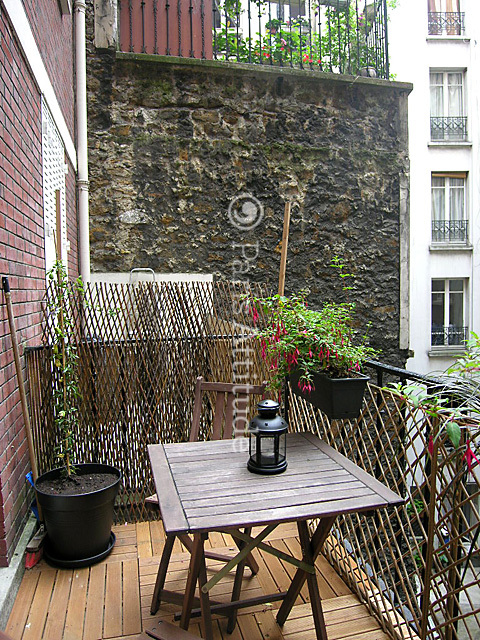 This apartment is equipped with : washer-dryer, cable, TV, unlimited high speed internet access with the wifi, balcony, phone. 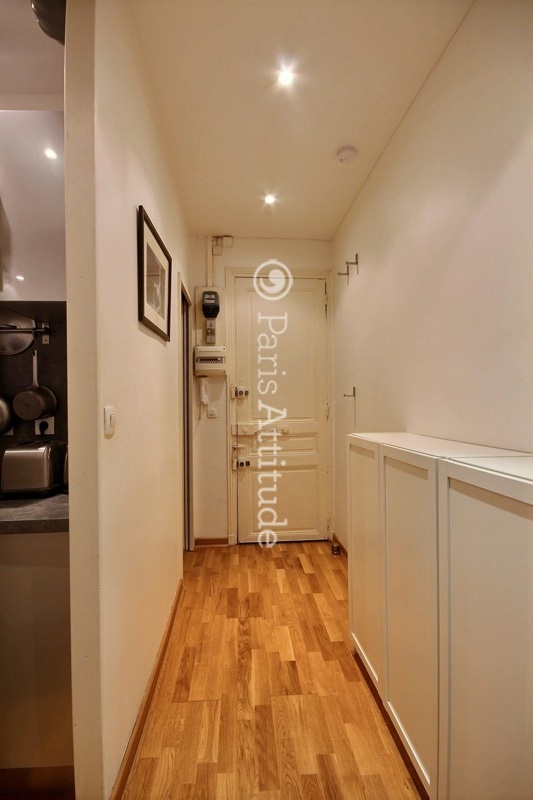 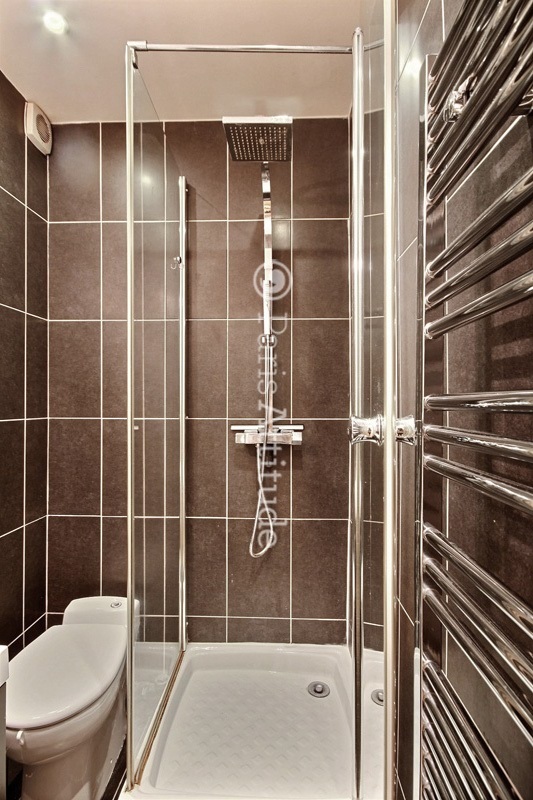 The 3 square meters entrance hall leads directly to the bathroom and the living room. 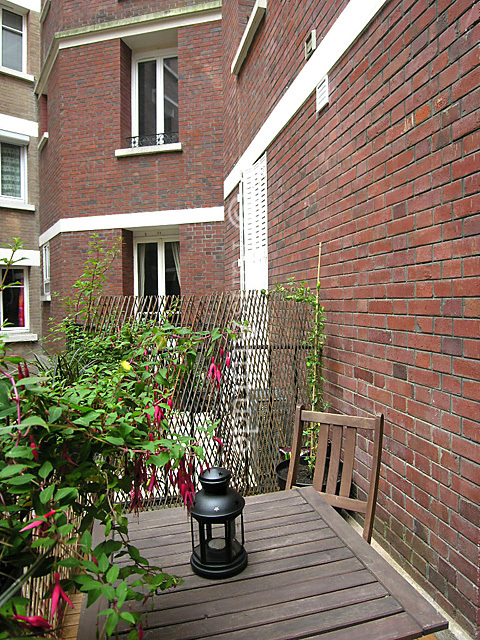 The 12 square meters living room has a window facing courtyard and leading to the balcony . 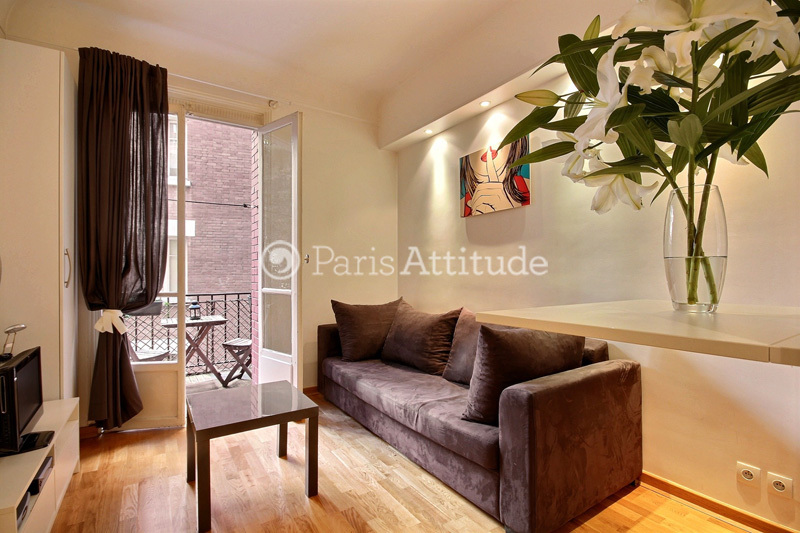 It is equipped with : double sofa bed, coffee table, cable, TV, DVD, built-in wall closet, hard wood floor. 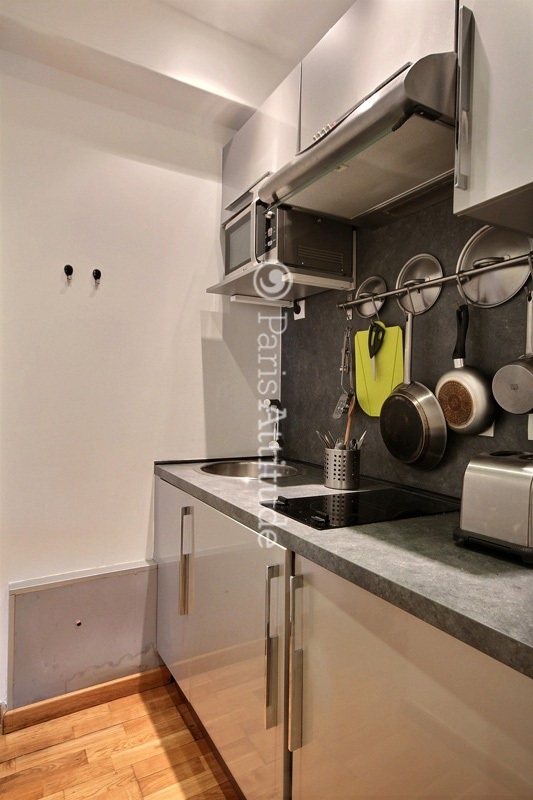 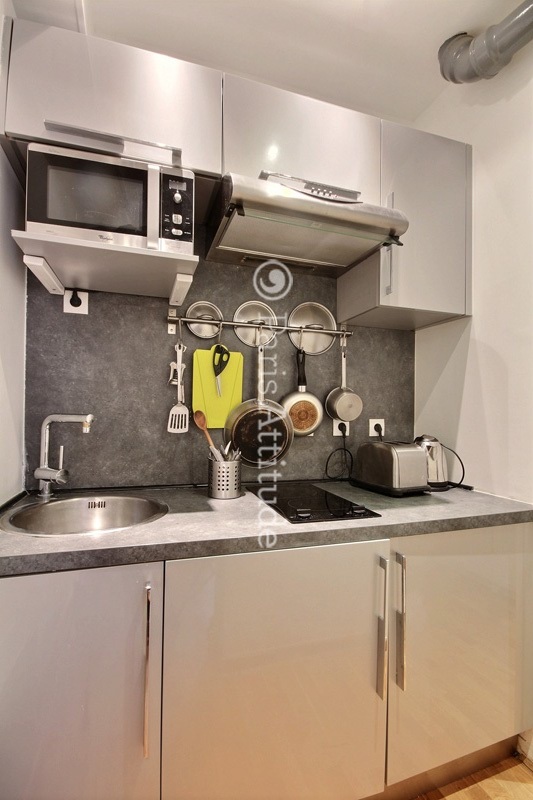 The 2 square meters open kitchen is equipped with : fridge, ceramic hob, combo oven-microwave, washer-dryer, kettle, toaster, and all kitchen utensils, built-in wall closet, hard wood floor. 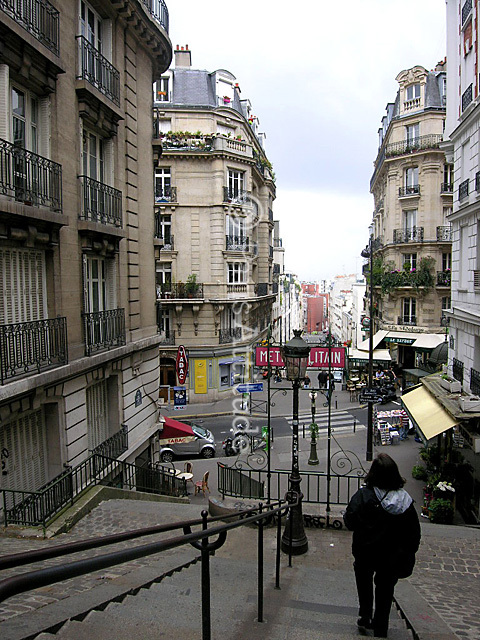 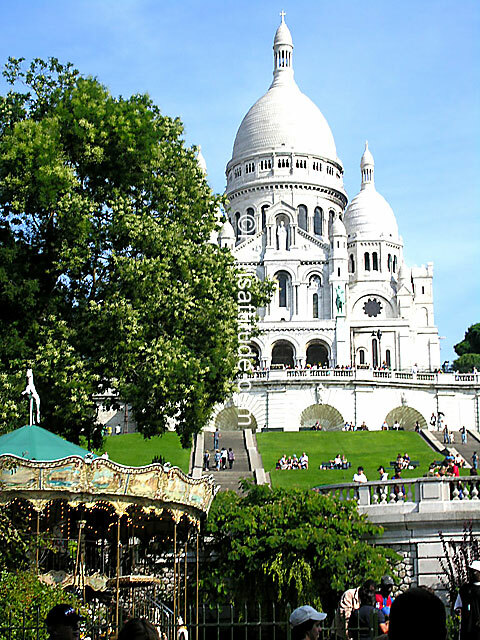 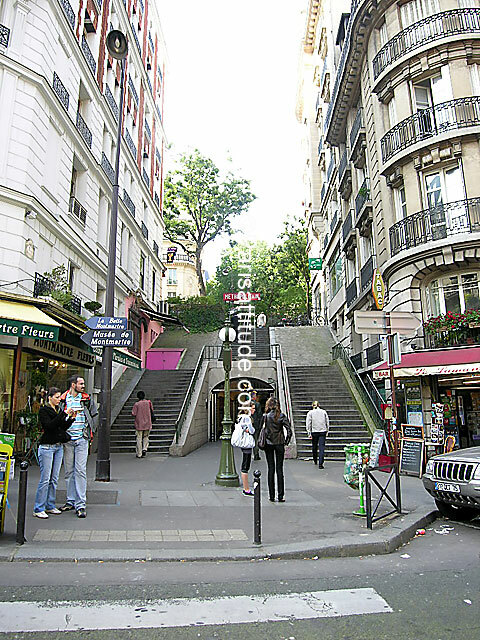 The apartment is located on a street which leads to the Sacré Coeur Basilica.